Incredibly small video cameras have are now available at very reasonable prices. Small televisions are available for very little money at online auction sites such as eBay. 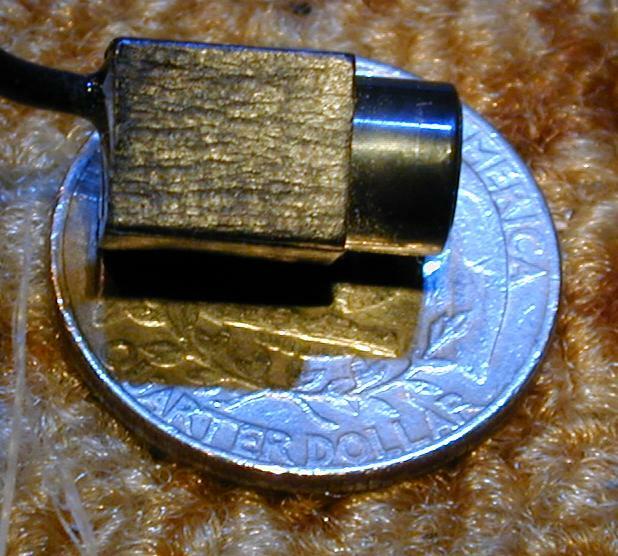 It is now possible to build a miniature short-range wireless video system with off-the-shelf parts. This wireless nature of this circuit is not suitable for long distance operation, the video modulator just provides a simple method for interfacing the video signal to a standard TV. Transmission distance is limited to a few feet. 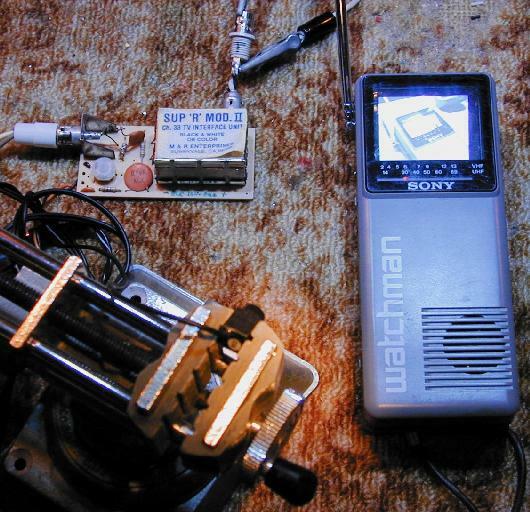 The camera's video signal is connected to the video modulator with an RCA jumper cable. Power to the camera and video modulator is connected to the 12V power supply. Be careful with polarity, reversing the leads may damage the modulator. The camera that was used had reverse polarity protection built in. The modulator's RF output signal is connected to a small antenna, the antenna can be made with two short lengths of #16 gauge solid wire. Alternately, for long distance wired operation, the RF signal can be fed into a length of 75 ohm coax cable with a 75 ohm terminating resistor across the far end of the cable. Connect the remote center conductor of the cable to the TV antenna through a 330 ohm resistor. Video modulators can be purchased from All Electronics and Jameco for a few bucks. Back to FC's Video Circuits page.